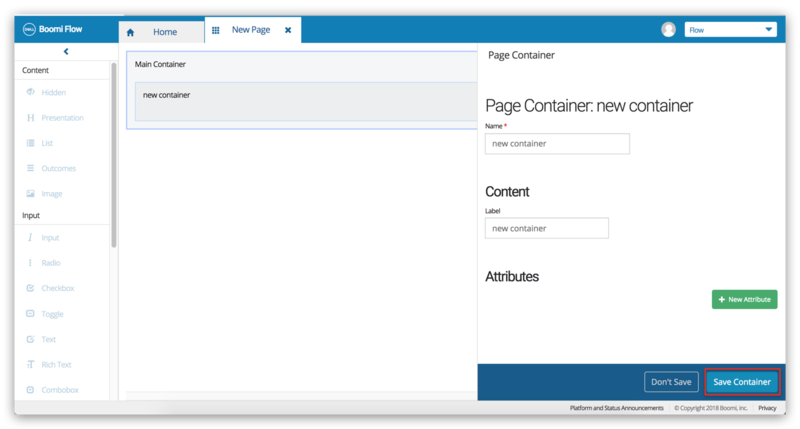 Page containers is like a scaffolding for the page layout! 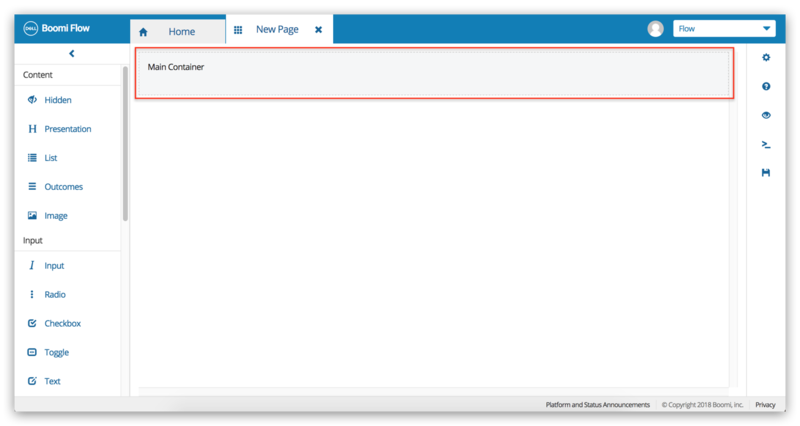 Containers allow flow builders to set out the relative position of page components on the page. If we are comparing notes with HTML5, a page container is very much like a div tag; it does not have any value or input, and is simply used to determine the layout of the page. 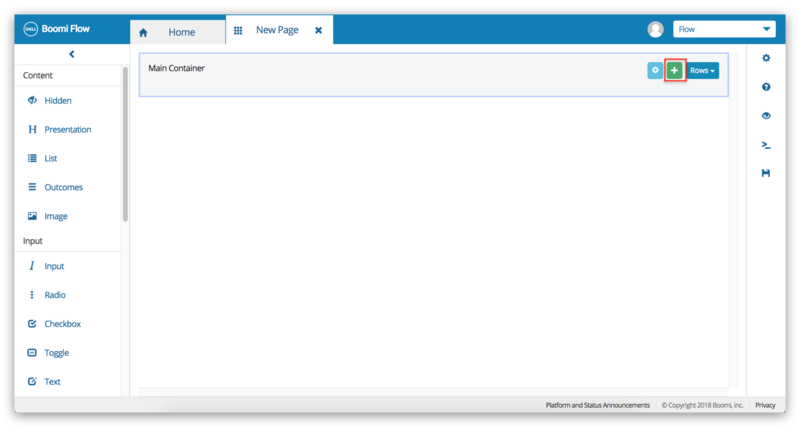 A new page layout comes with a default container called the Main Container. Click anywhere on the Main Container. This opens the settings menu for the container. 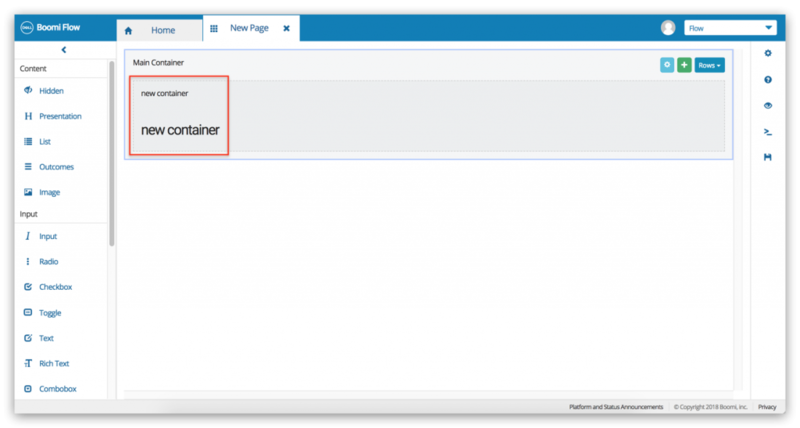 Enter a name and optionally a label for the new container in the Name and Label fields. 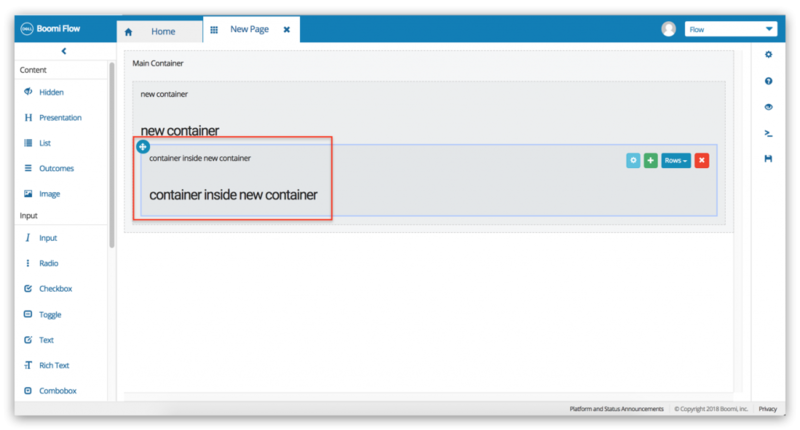 This adds the new container inside the Main Container in the page. If we like, we can nest containers in the page. We added a new container inside the new container here. All page layouts must have at least one page container.